The Vegan Mouse: Banh Mi Sandwich! 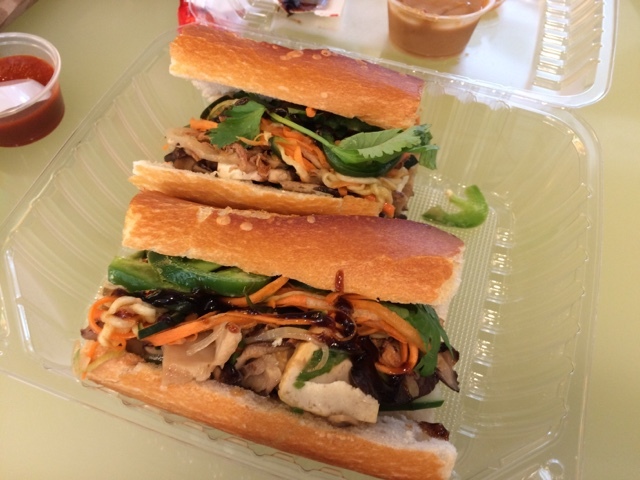 Ate this delicious tofu and mushroom Banh mi sandwich at the mall. I asked for no mayo and no pork pate. Side of peanut sauce and Sriracha.